I love using magic erasers! I have found so many uses for them around my home. Whenever I find a huge list of uses for magic erasers, I usually try to stop and read it because I almost always learn a new use for these handy little puppies! 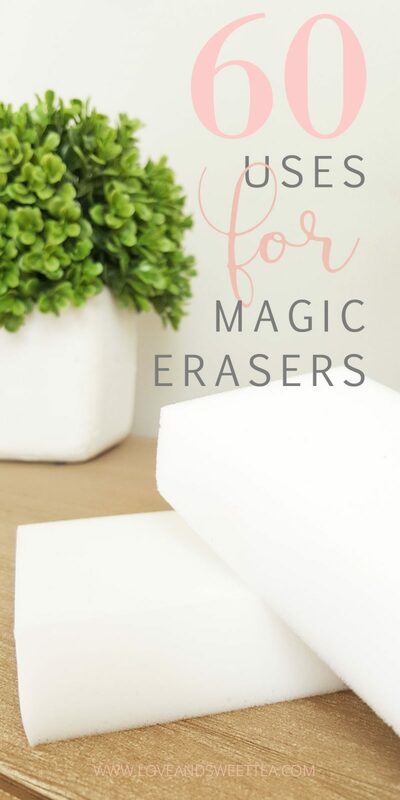 Here are some of my favorite lists of uses for magic erasers! 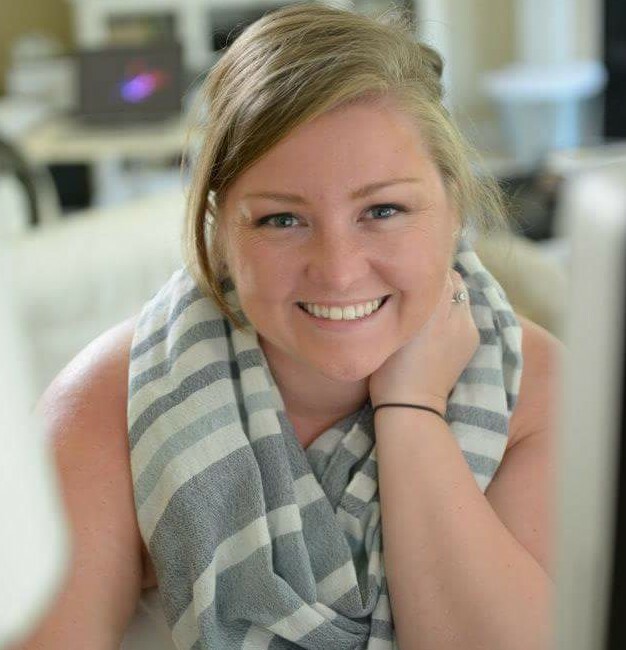 You never know what you’ll learn from one of these! But first a disclaimer about magic erasers. Magic erasers are super abrasive, so always (did you get that, always) check the surface you are going to clean before going all cowboy on it. Mkay? Pin this now so you don’t get lost in the giant list below! You’ll want to be able to find this puppy later! Click on any link below to read the full explanation. 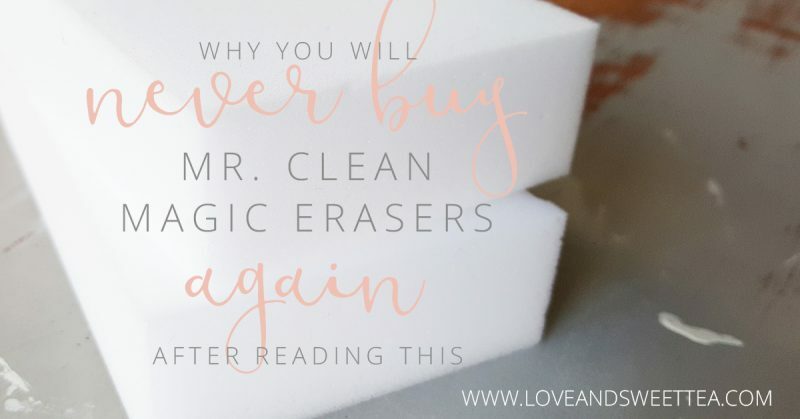 If you enjoyed this giant list of tips, you definitely want to check out this post about why you will never buy Mr. Clean Magic Erasers again! Does this work on cabinet doors? Will it remove grease spatter from backsplash area behind stove? It most likely will remove grease spatter from a backsplash area, but if it’s painted (like some of mine have been), it may remove a light layer of paint. Sometimes the first few scrubs look great, sometimes not, so it’s always best to spot test with your area. But if it’s tile, I would just scrub away! When my grandson was little he took a ballpoint pen to my real leather sofa. I is buckskin color. the magic eraser took it all off. It really was a miracle!